At my meeting yesterday, one of the icebreaker things we had to do was write down 3 books we thought every elementary student should read by the time they leave for middle school. You could feel the buzz in the room. People had lots of ideas, but no one started to write. The hard part was limiting it to three. 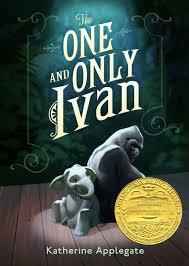 My first one was my first book love, The Story of Ferdinand by Munro Leaf. It’s an old book, but when I read it lo, those many years ago, my eyes were opened. 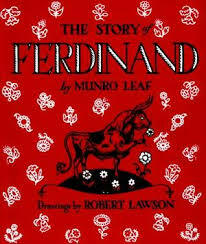 I was just like Ferdinand and I had never realized that I could identify so closely with the character in a book. Disney turned it into cartoon in 1938. 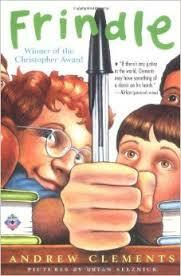 Next on my list was Frindle by Andrew Clements. This was Clements’ first book and it is a wonderful tale about creative thought and the power of words.Brian Selznick’s black-and-white illustrations enhance the humor in this unforgettable story. Finally, I chose a newer book, one that resonated with me very powerfully the first time I read it, The One and Only Ivan by Katherine Applegate. 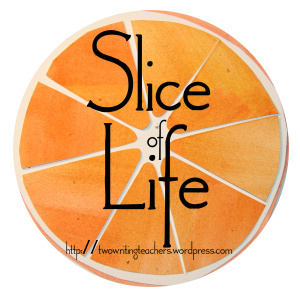 Just thinking about the book makes me get all soft & mushy inside.